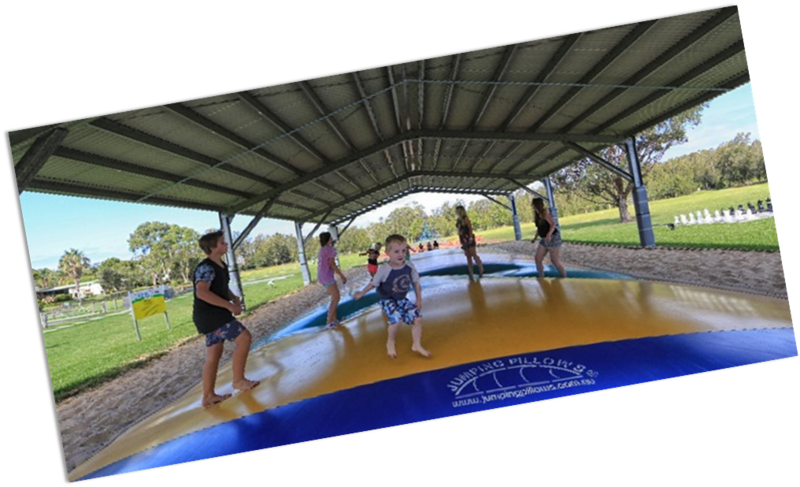 Jumping Pillows® come in bright colours and 5 standard sizes. They can be custom made to fit your requirements. Installation of a Jumping Pillow® usually takes only one day and it involves trench excavation. The Jumping Pillow® is a permanent installation. It requires a single phase power point for a small electric blower. Colour options are red, yellow, blue, orange and green panels. Please bear in mind that the darker colours get hot in the sun which can make the experience of your users less enjoyable and limit the times they use it. You can maximise the available time to use the Jumping Pillow with the addition of a shade sail for protection of Jumers and pillow alike. We can make a Jumping Pillow® to suit your available space. There are some basic criteria with regards to clear space around the installation, but if you give us a call we can talk you through the options and work out what is best for you. 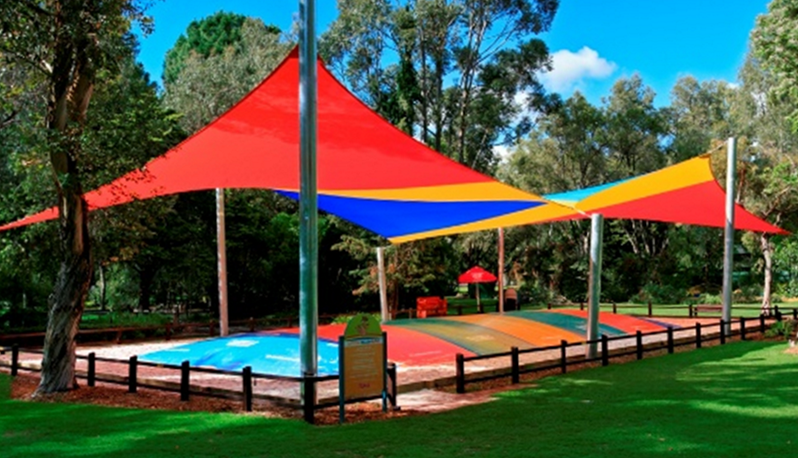 Create the perfect all-weather facility by putting a roof or shade sail over your Jumping Pillow®. Many holidaymakers choose their destination based on whether the park has a Jumping Pillow® - and it increases their average stay time. Make your facility a go-to destination with a Jumping Pillow®. Once we get your dimensions and specifications sorted out all you need to do is point where you want it and we do the rest. We offer a full installation service. Call us today to discuss your needs.